Recently I wrote how it could be a good thing to use a tractor applied boom spray across a failed restoration to return it to grass. But there is the other way too, waiting. Fourteen years ago we sprayed glyphosate (Roundup) on a fallow cattle pasture that was mostly brome grass and a few weeds. We then seeded with a rich mix of prairie species, mowed it a few times that first year, and then did annual weed work on it year after year. The weed work was not hard, but there was always some to do, mostly sweet clover and parsnip. 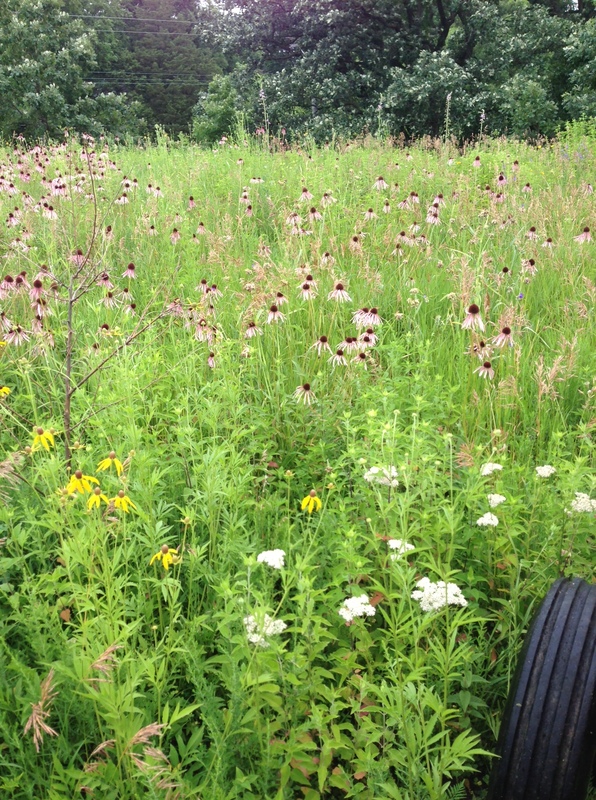 We saw some native plants established but we looked down on this planting for years because we mostly saw the silly yellow coneflower and bee balm which screams out “prairie planting”. Why keep this planting but boom spray another planting to grass only? If the planting is not a weed headache, a time sink, full of invasive legumes that can’t be controlled then using a boom spray may be the right path. Also,is the emerging plant community reasonably diverse and abundant? As with everything, there is no one answer. Canada goldenrod is not invasive for you? We don’t see Canada goldenrod increasing in our remnants or in our better plantings. In plantings where we did not get an early full cover of native plants I see more C goldenrod.